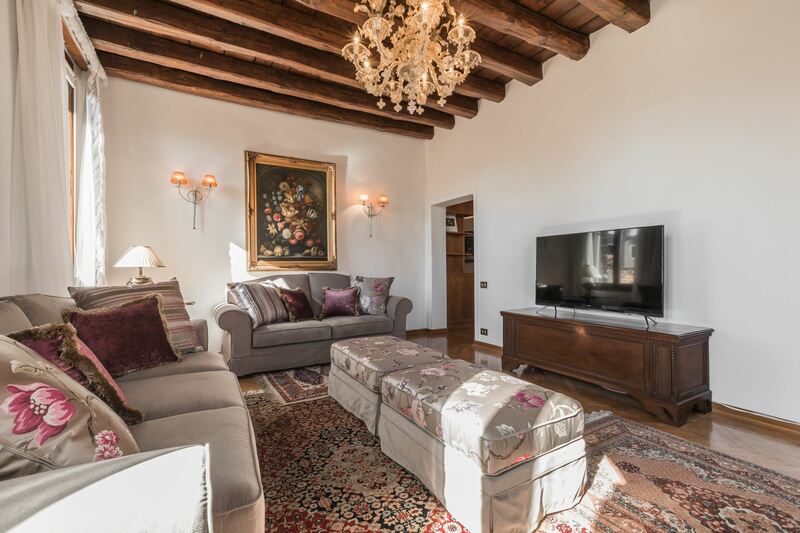 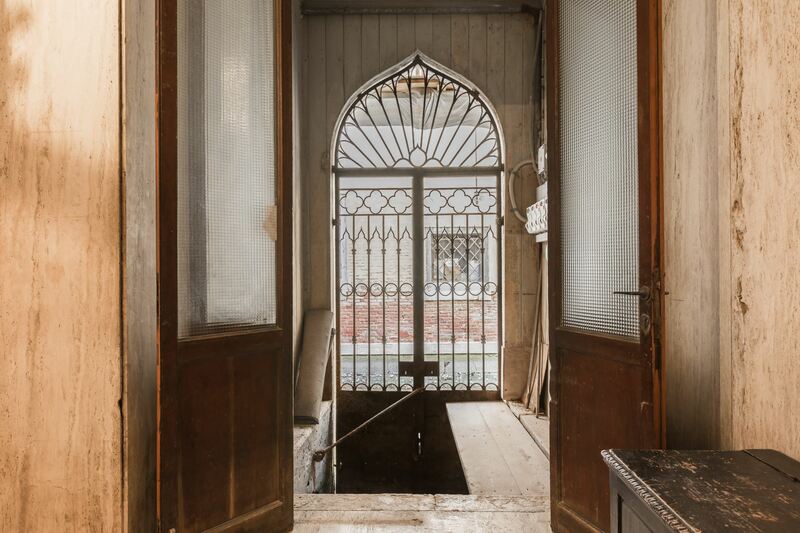 This elegant, spacious and charming flat is technically located in sestiere Castello, but it's just 450mt from Saint-Mark's square and it offers a wide and lovely view over San Zaccaria church from its windows! 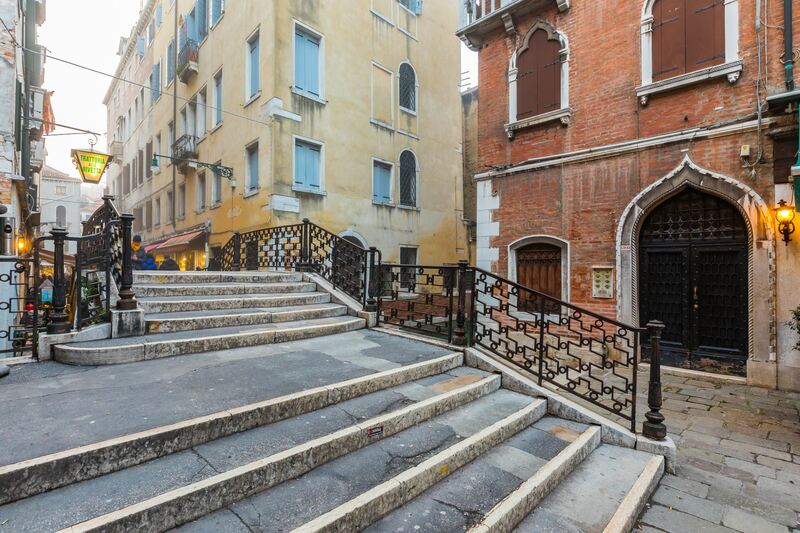 The street entrance of the building, a nicely restored XVI Century palace, also having a front door opening onto the water (you can get to the apartment directly by water-taxi), is situated in the central campo San Provolo: everything will be in the immediate vicinity: the world famous monuments like the Doges' Palace, the Correr Museum and Saint Mark's church, all sorts of restaurants, groceries and shops, as well as lovely paths to walk around and discover Venice, from the most popular streets around Saint Mark's area to the hidden, locally lived and charming calles towards the Arsenale. 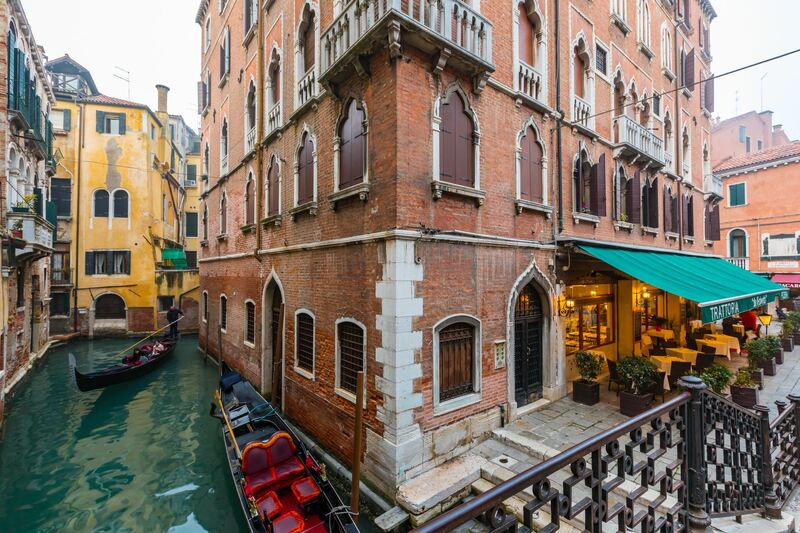 The apartment is also conveniently located to visit the Biennale venues and it's close to San Zaccaria water-bus stop, where all main lines stop (direct water-buses to the Marco Polo airport, the railway station, the Lido, Murano, San Giorgio and Giudecca islands). 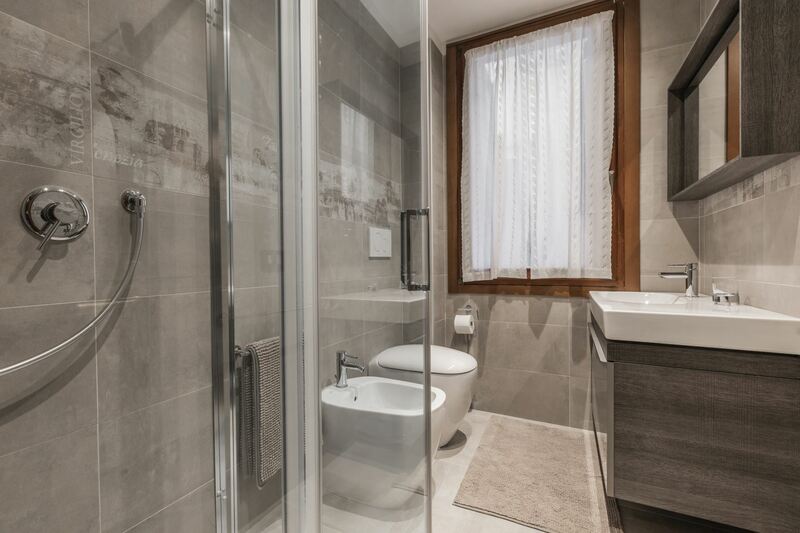 The flat is 130 sqm in surface, it can sleep 4 (and 2 children), and it's on the the 3rd floor (with lift). 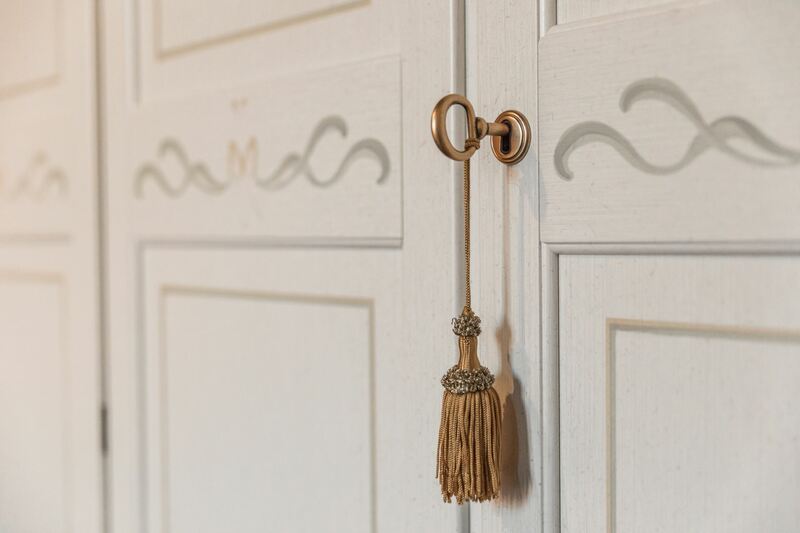 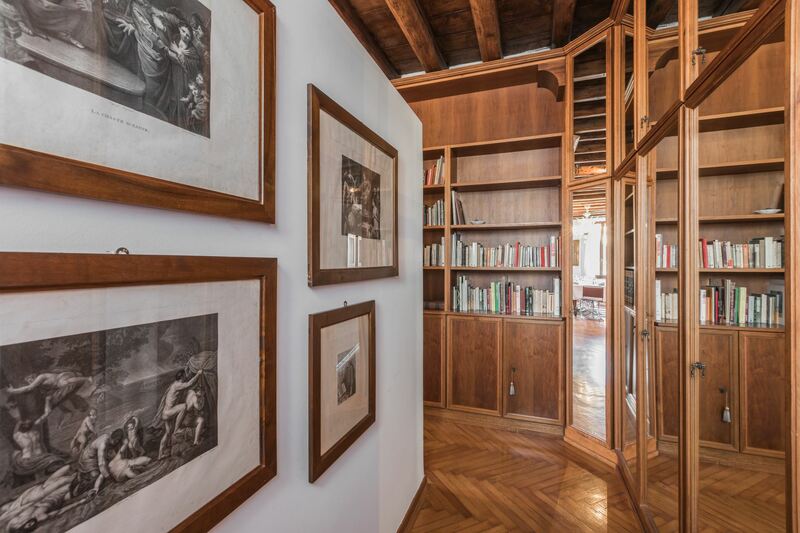 When entering the apartment, you will immediately find libraries welcoming you with books in several languages; the entrance corridor opens into the spacious dining room, with a stunning view over San Zaccaria church main façade. 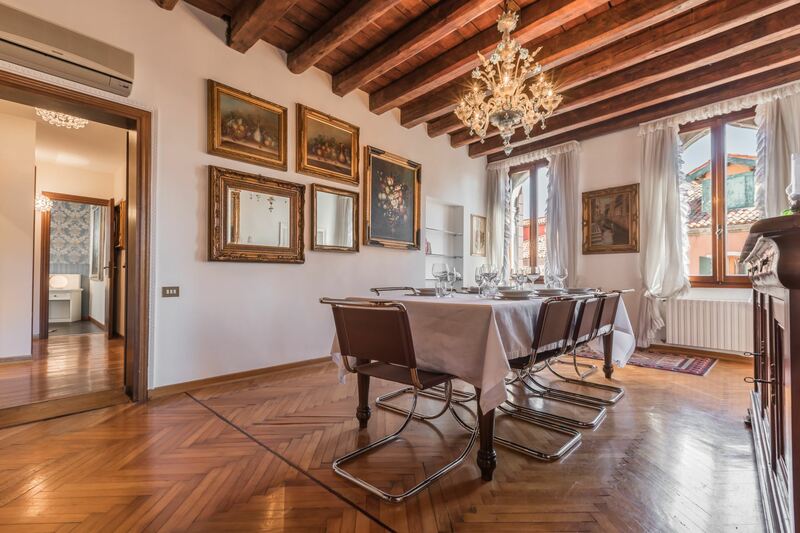 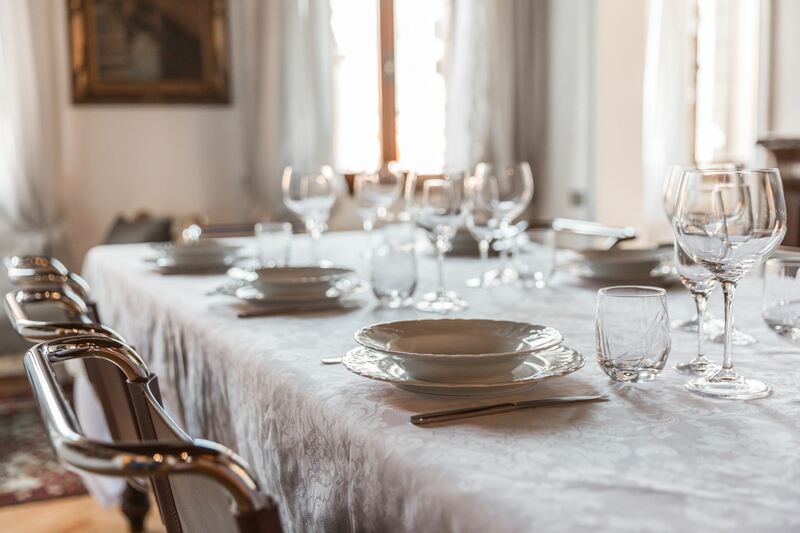 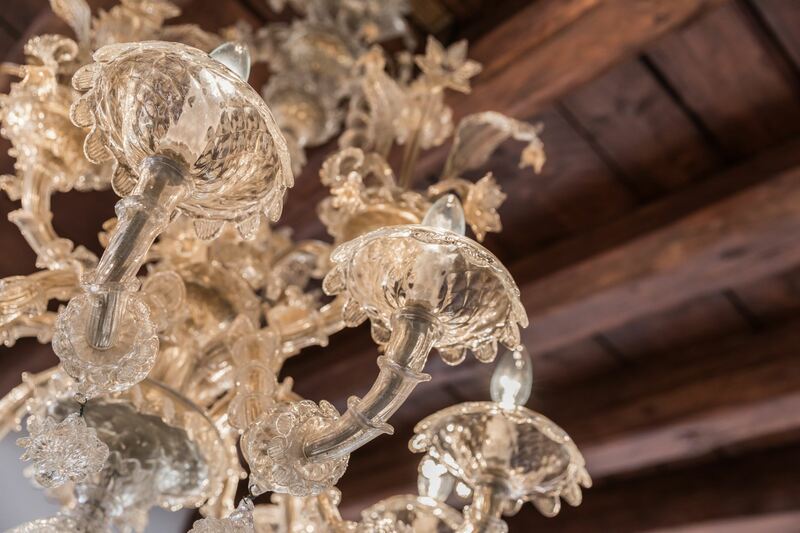 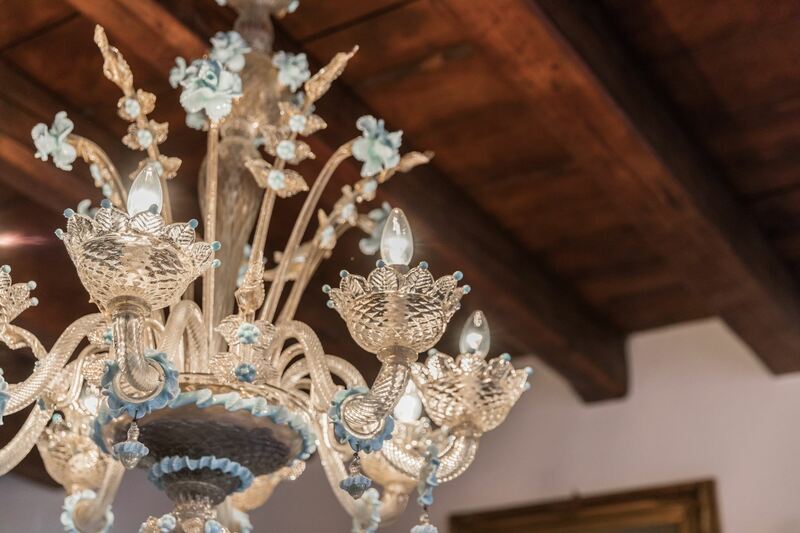 This room is perfectly equipped to serve dinner for 8 in an elegant decor: the Venetian view, antique pieces of furniture and a beautiful Murano chandelier, by Master Galliano Ferro, complete the set! 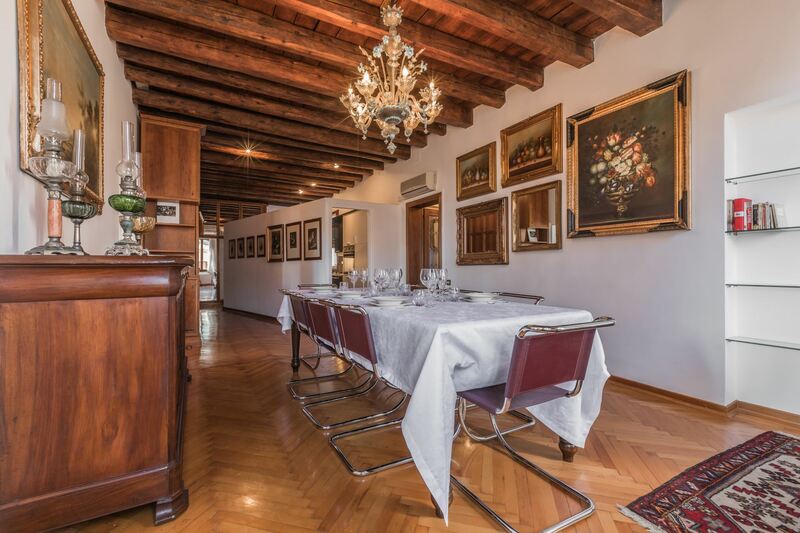 The dining room opens into a modern and functional kitchen, on one side, and the elegant living room, on the other. 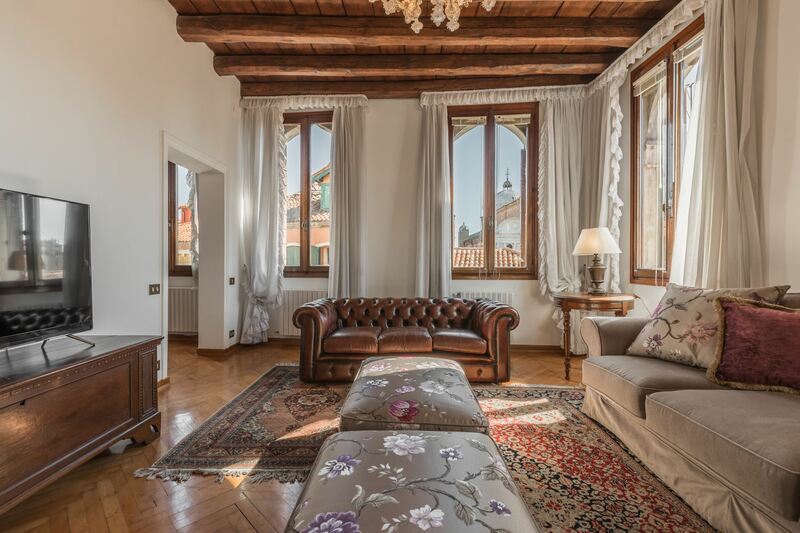 The living room, very bright and cosy, offers a lovely view over campo San Provolo and the side canal, where gondolas pass by. 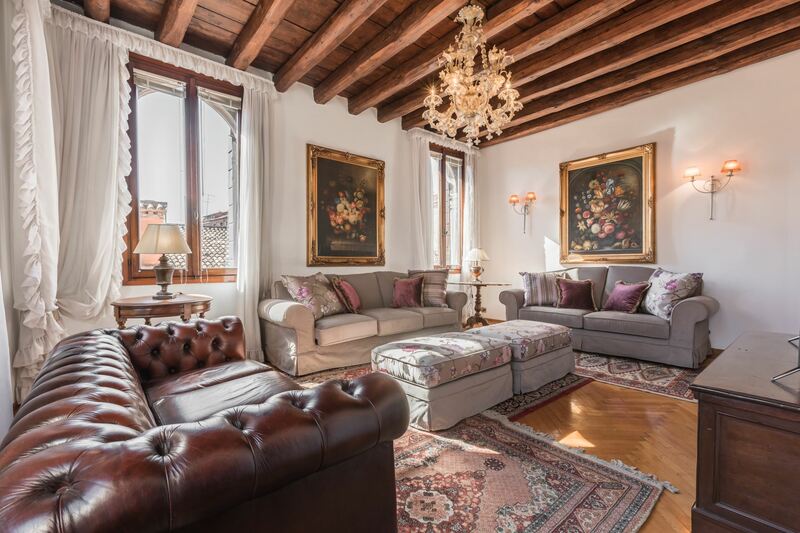 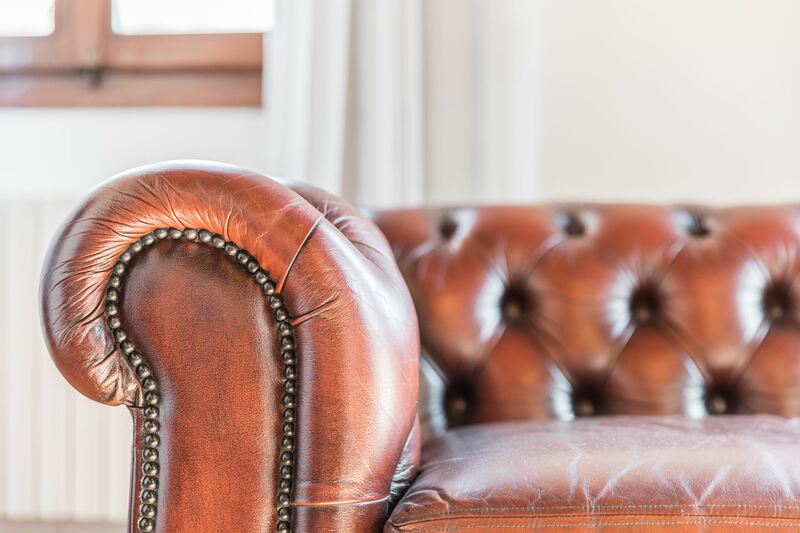 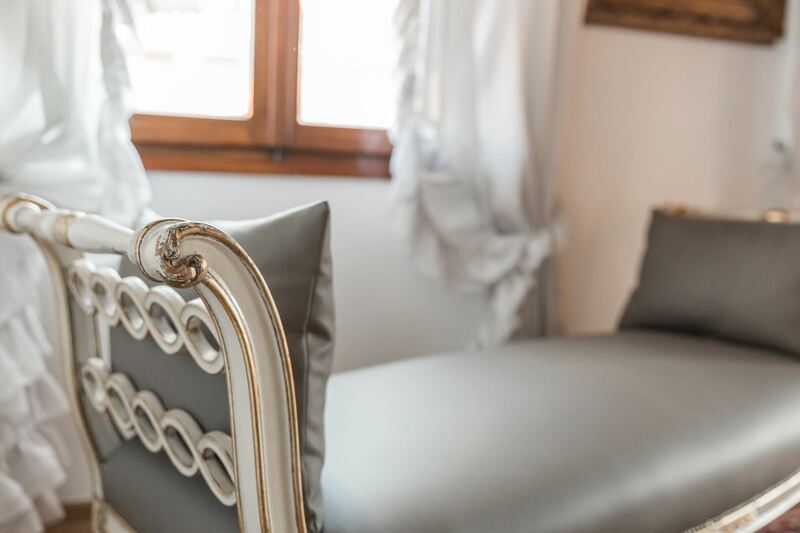 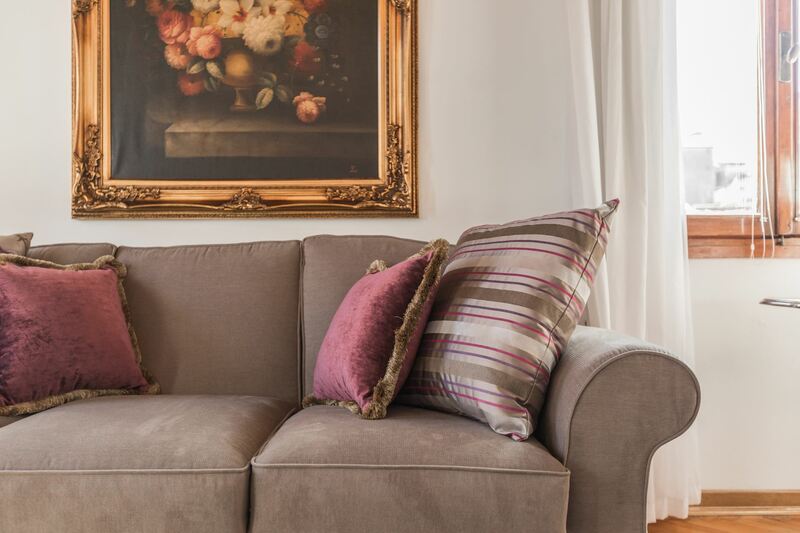 You can comfortably sit on a Chesterfield leather sofa and relax watching tv and enjoying a prosecco after a day of walking tours around Venice! 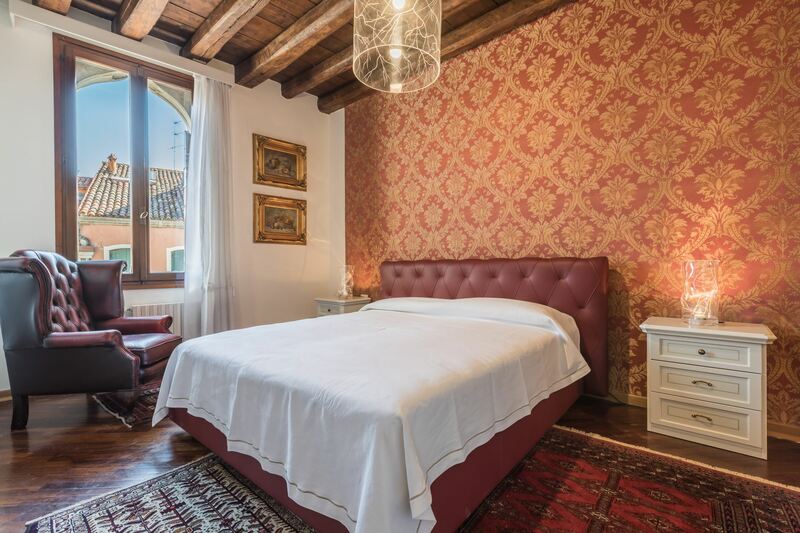 On the opposite side of the apartment, a corridor leads you to the bedrooms and bathrooms: you will find a spacious master bedroom, with leather headboard, an elegant Chesterfield armchair and a completely renovated en-suite bathroom with shower; a second double bedroom, offering a lovely view over Rio di San Provolo, a modern bathroom with shower and window and a laundry room. 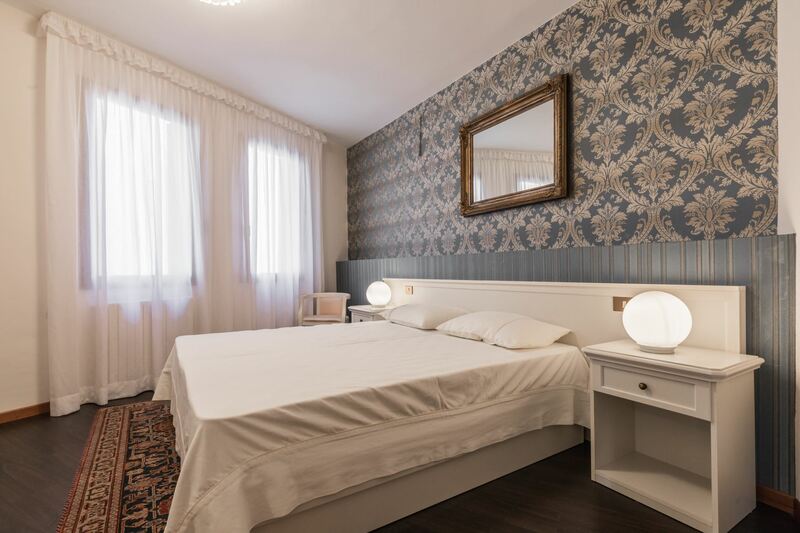 The linen set at San Provolo apartment also includes a bathrobe and disposable slippers. 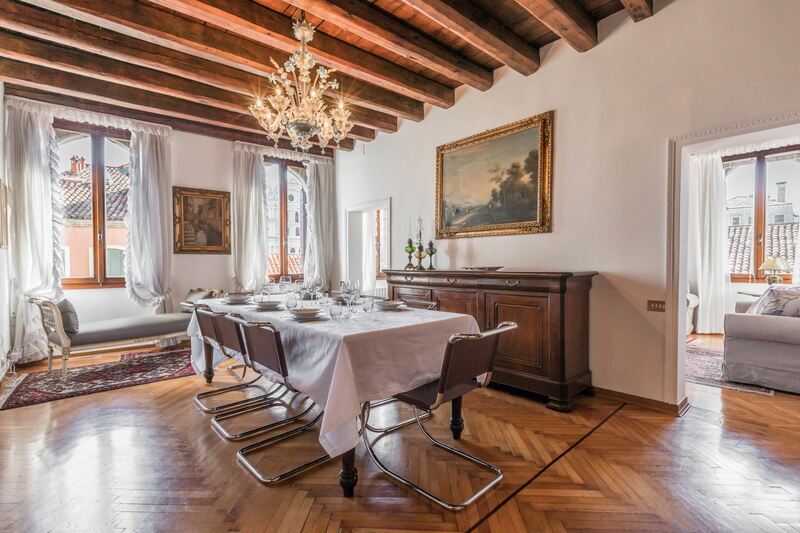 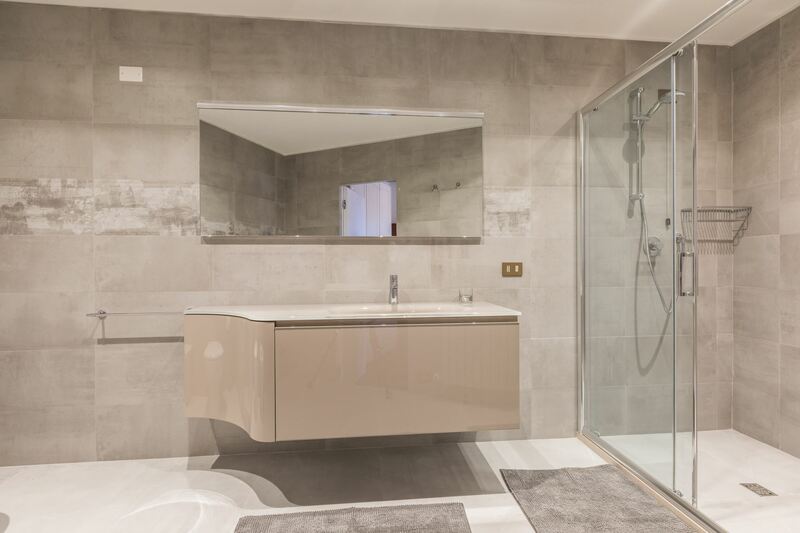 Parquet floors, wooden beams and carpets complete the set of this beautiful property. 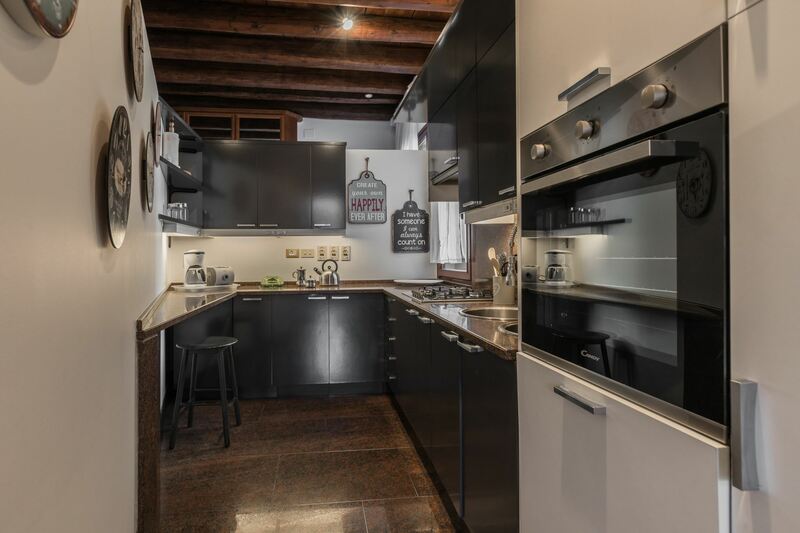 Equipment: flat screen tv, washing machine, oven, dishwasher, fridge with freezer, toaster, cooking rings, air conditioning. 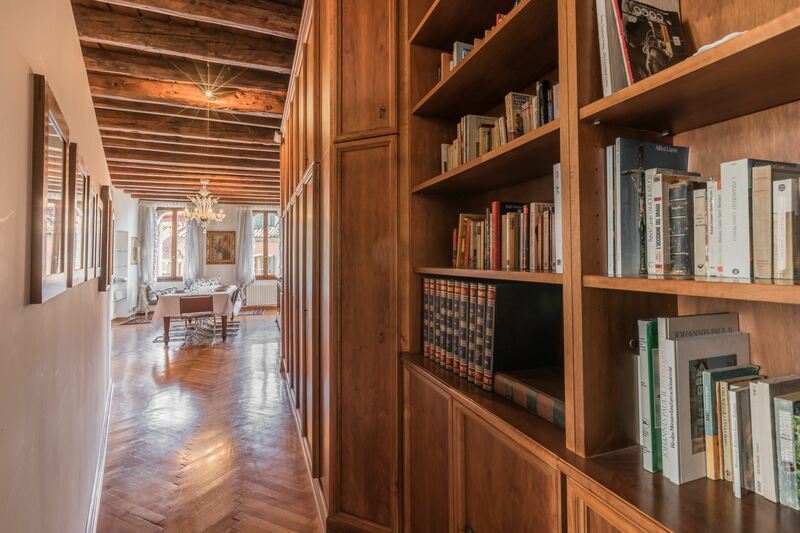 Elegant decoration, charm of a real home, plenty of sunlight, super-central location, an unique view and an elevator... this apartment has it all!